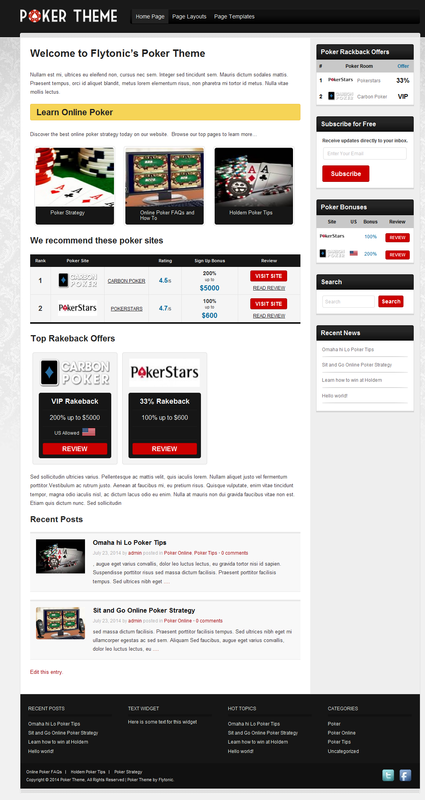 Check out some of the great websites using the Poker Theme. The Poker Theme for WordPress is an exclusive online poker affiliate theme brought to you by Flytonic. The colors, widgets, and shortcode tables have been designed to attract the online poker audience and help convert your visitors to playing customers. 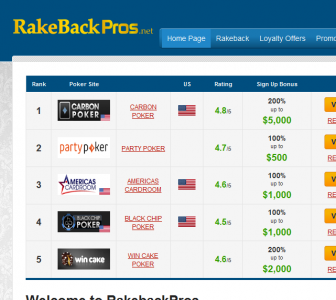 It is also great for those affiliates promoting poker rakeback offers to visitors. You are welcome to use the theme for other types of casinos other than poker as many people have using it for however! This is a responsive WordPress theme that works great in mobile devices as with all Flytonic Themes. You can choose the layout of the poker theme to include either a left, a right , or a left and right sidebar. Individual pages can also have a unique layout as well. Create a custom menu inside a post or page using page thumbnails, menus, and a simple shortcode. You can see how it looks below. So you can link to important pages on your site, which is great for part of your home page. So perhaps on each of these pages you can use the blog template to show posts in a particular category. 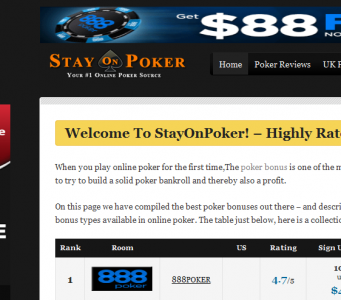 Top Poker Sites Shortcode – display top poker sites with attributes inside posts or pages. 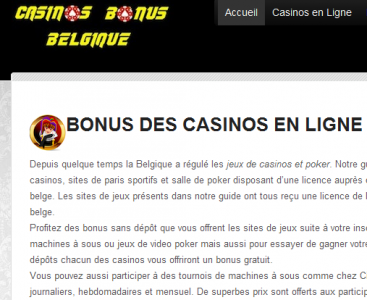 Featured Poker Sites Shortcode – display featured poker sites with rakeback amount or rating inside posts or pages. 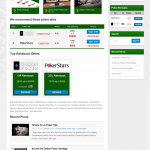 Custom Poker Widgets – pick from two different poker widgets to display your poker sites and show your customers the latest offers and bonuses. Banner Management – Add banners as widgets or inside posts or pages. Two Poker Review Pages – review pages are easily created by filling in a few fields within posts. You can display a rakeback offer and instructions for signup for each poker room too. Customizable footer area – hide different parts of the footer. Check out the demo for what is included and see the different layouts, colors, and custom widget and shortcodes.